Parlando Italiano is the result of the coming together of experienced and professional native Italian teachers with a great passion and flair for teaching Italian as a foreign language. All of them are fully qualified university graduates with Italian teaching certificates and have taught at some of the most prestigious Italian language centers in the world. What makes our Italian tutors unique? They are totally professional and all of them have Italian teaching certificates. They are used to teaching students of all ages, levels, professions and nationalities. They regularly attend training courses throughout the year to master the most updated didactic strategies and techniques. They are completely versatile and will offer you the exact same support whether you choose Italian lessons at home or Italian lessons online. Actually, our native Italian teachers have a broad range of experience teaching in a variety of situations; at school, at home, on the internet or at the office and will accommodate your individual requests whilst also giving you the opportunity to schedule your Italian course when it best suits you. 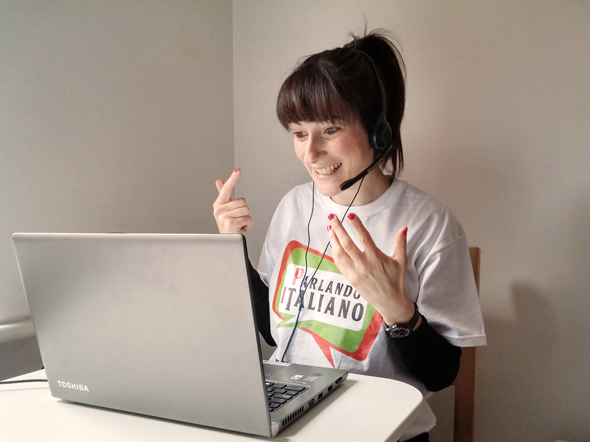 The aim of our lessons is to improve your Italian as much as possible and we believe that the easiest way of doing this is to use the language in practice. 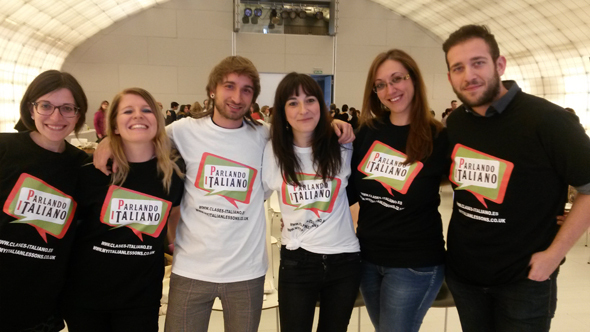 Thanks to our communicative method, you will listen to and start speaking in Italian from day one. Our teachers will design interesting lessons, specifically tailored to your needs and supported by relevant and useful vocabulary and grammar. They will also make sure that you have plenty of opportunity for free-flowing conversations based on different topics and issues relating to Italy and Italian culture. So not only will you improve your Italian Language skills, you will also discover a lot of interesting things about our country. Hundreds of students from the UK and all over the world have already enjoyed the high quality learning experience of Parlando Italiano. All our lessons, including those for complete beginners, are conducted exclusively in Italian by native Italian teachers. But don´t be afraid! Lessons will be fun and relaxed with our teachers helping you every step of the way, and our teaching method will produce surprisingly fast results that, in turn, will greatly increase your motivation to continue learning Italian.